An update from the Leadership Council. It’s been a busy and exciting time at RECC so far in 2017! We have 3 new members serving on your Leadership Council. Dave Anderson as Vice Chair, Roger Helgeson as Deacon Board Chair and Dennis Ingold as Trustee Board Chair. Returning members include Sheila Brinkman as Secretary, Todd Peterson as Treasurer, Rachel Krahn as Christian Formation Board Chair and Darrin Smedsmo as Missions & Outreach Board Chair. 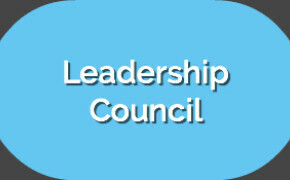 The Pastoral Staff participates in the Leadership Council meetings as well. Please remember to keep us in your prayers. On behalf of the congregation, the Leadership Council extended the call to Pastor Kecia to become your full-time Children & Family Pastor. We are excited to see the good work God will do in this congregation and within this community as a result of this vitally important ministry. I feel energized and blessed when I see children and families filling our pews and classrooms. We have also been praying for and discussing how God is leading this congregation in the fulfillment of our mission, “To Share the Love and Hope of Jesus in Today’s World”. We are asking God to reveal His vision for this church. We are asking what He wants RECC to be like in 10 years. We are asking Him what our priorities should be. We are asking God how will this community be different because we exist. We know that the vision and strategic plan must be Spirit lead. Your pastoral staff, board members and council leaders will certainly be engaged in seeking God’s will. We also know that God speaks through all of us if we ask Him for discernment and guidance. So, we ask all members and regular attenders to get involved in sharing your thoughts and ideas about the future. Most importantly, we also ask that you include this in your daily prayers. On a personal note, I want to thank you for the trust and confidence you have placed in me. Please feel free to share with me your thoughts, ideas and concerns anytime. I will do my best to listen and seek God’s voice. I will also do my best to help our church family embrace our past, enjoy the present and prepare for the future. I also ask that you remember to pray for me, specifically for the character, wisdom, patience and foresight to effectively serve this congregation as God sees fit. I feel that, thanks in large part to others that have served before me, this congregation is standing on a solid foundation that we can continue to build upon to fulfill the mission God has placed before us. I’m excited to see what God has in store for us. I hope you are too.